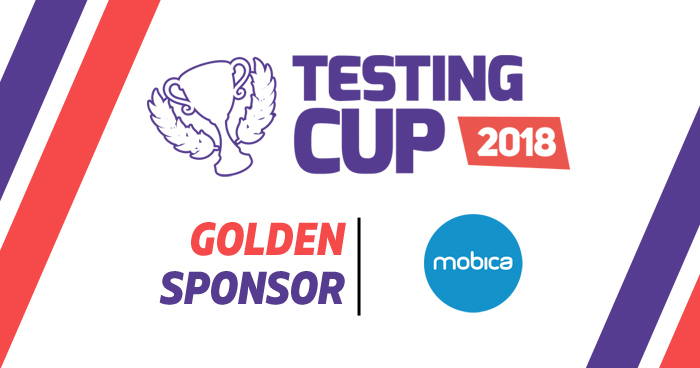 We are proud to introduce to you our Golden Sponsor- Mobica. Winner of the Queen’s Award for Export 2016, Mobica is a world-leading software services company that provides technology solutions in the connected device market, bringing next generation, time critical products to life. Working with the top global technology providers, Mobica delivers bespoke consulting, distinctive software engineering and a wide range of software development services, including UX, UI and QA, across the entire software stack. With 12 R&D centers located around the world, Mobica operates in a host of sectors including; Automotive, Mobile, Semiconductor, Fintech, TV and Broadcasting and Marine, Aviation and Defense, Space and Medical and the Internet of Things. Many of the solutions are used in everyday life; from smartphones, TVs and cars, intelligent buildings and smart cities. Come and meet them better during TestingCup 2018!